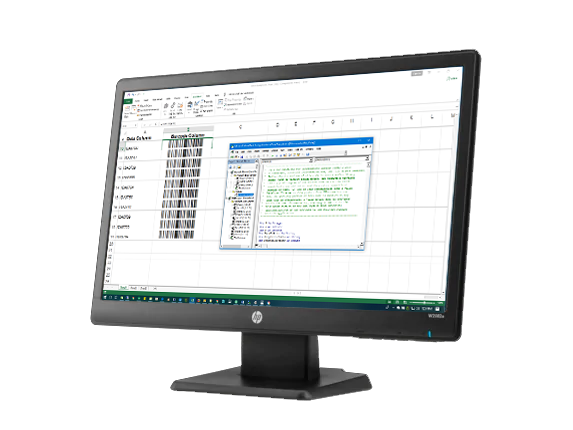 This website was created specifically to help users of Microsoft® Word, Excel and Access integrate barcode technology into reports, spreadsheets and documents. 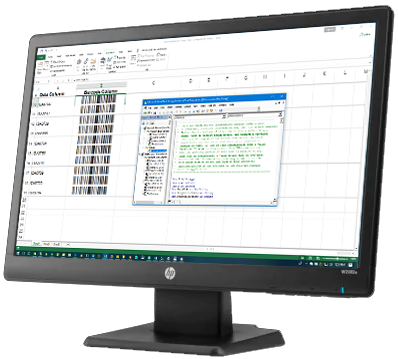 IDAutomation provides barcode font encoders that are easy-to-use for both the beginner and advanced VBA programmers. IDAutomation’s self-checking bar code fonts allow users to create barcodes in any application that uses fonts. The Code 39, Codabar and Industrial 2 of 5 self-checking fonts do not require any complicated check-digit calculations. PDF417 and other two dimensional barcodes such as Data Matrix, Aztec, Maxicode and QRCode allow encoding of more data in a smaller area. IDAutomation MICR fonts allow printing of numbers and codes to create bank checks or drafts from blank check stock. The OCR-A and OCR-B fonts are used for OCR applications requiring these specific fonts. It is important to have the ability to test printed barcodes with a barcode scanner. If a scanner is not available for testing purposes, IDAutomation offers several high-quality complete barcode scanner kits. Low power CCD scanner that is easy to use, just plug into the USB port. 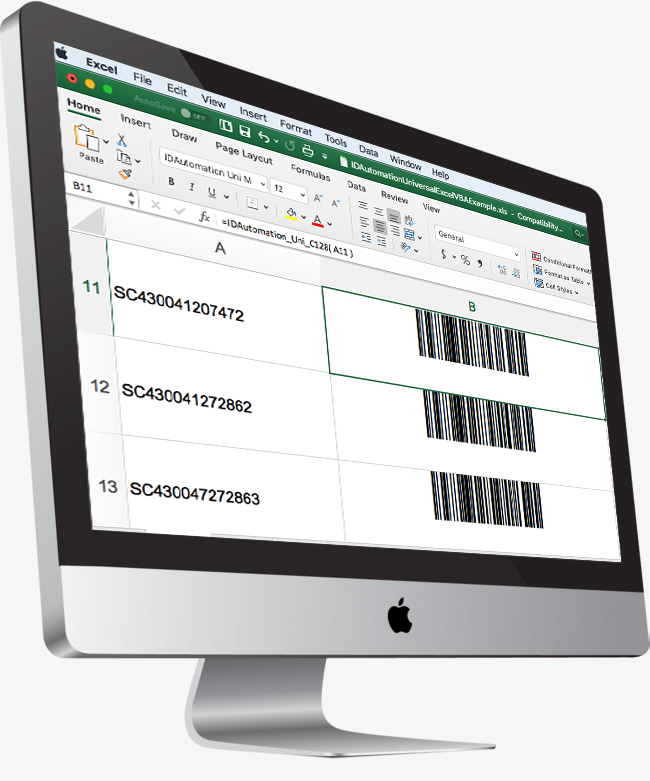 Supports GS1 DataBar and PDF417 and auto-discriminates between barcode symbologies. 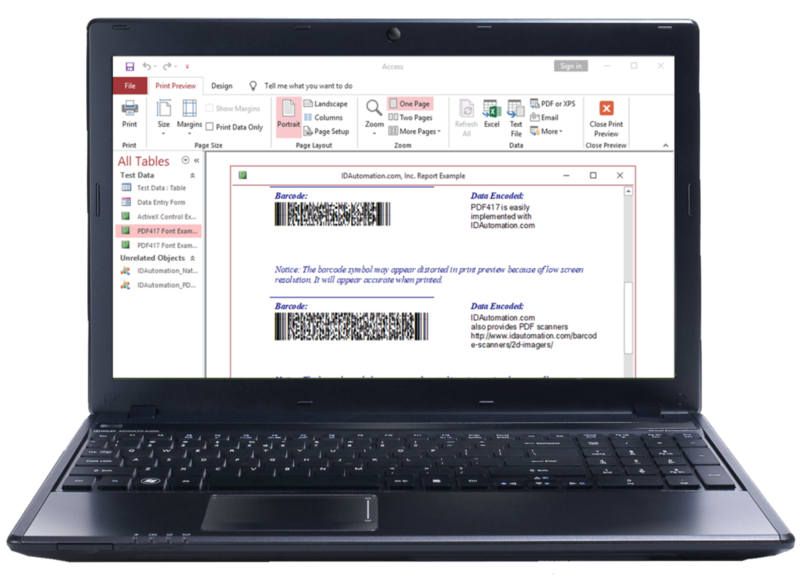 Supports both Linear and 2D barcode as well as includes a print quality assessment feature to test 2D barcodes.